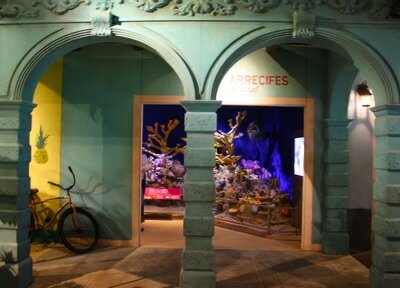 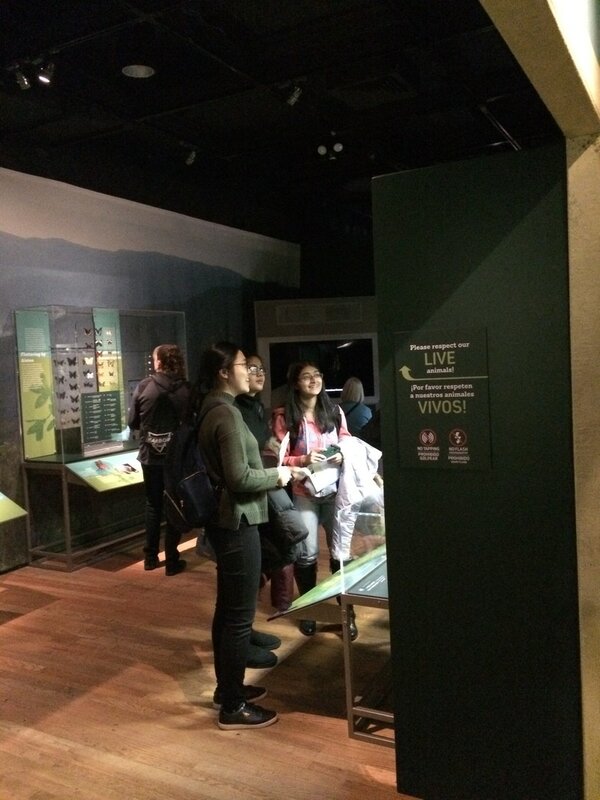 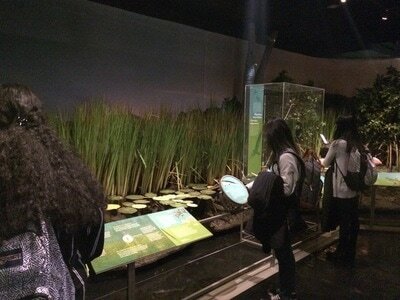 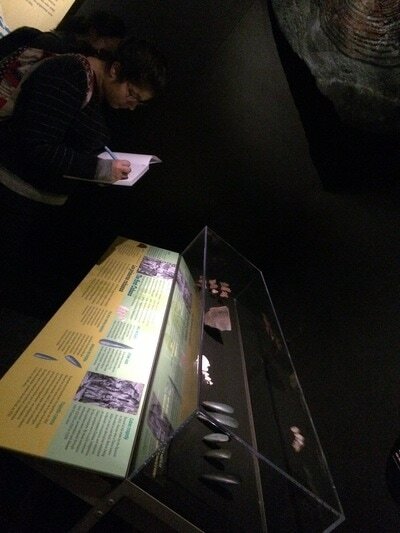 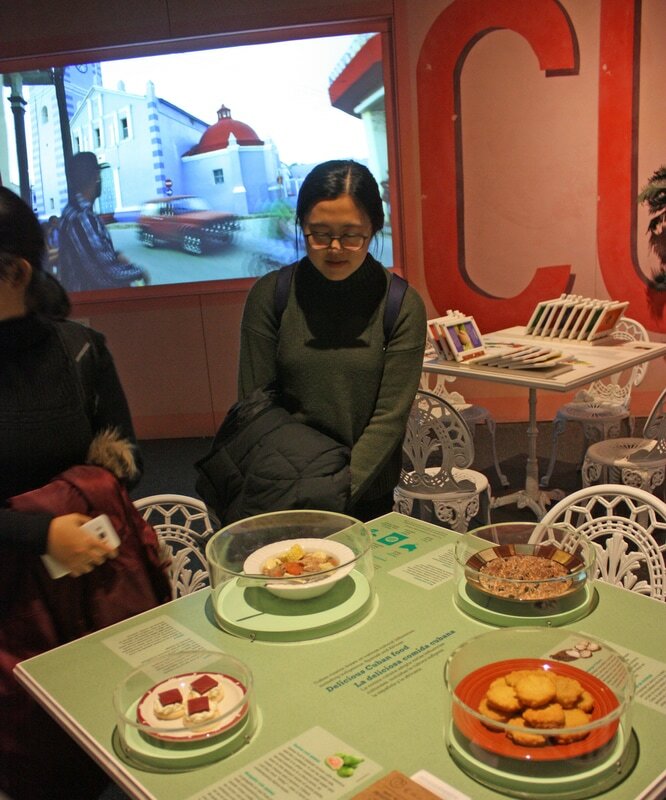 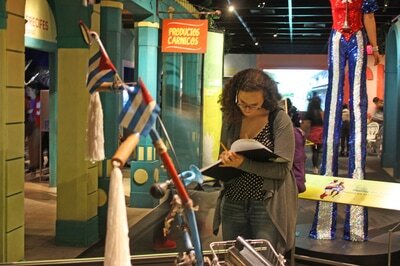 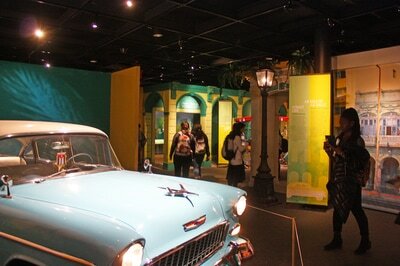 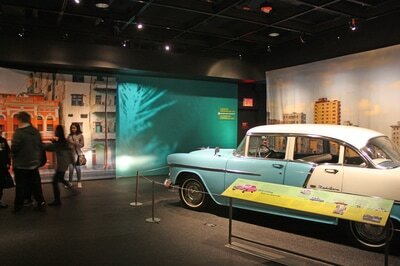 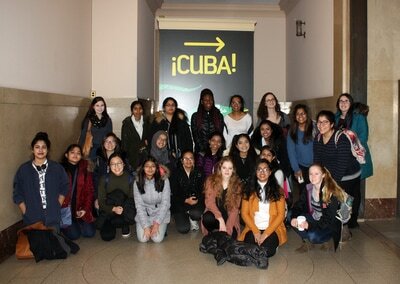 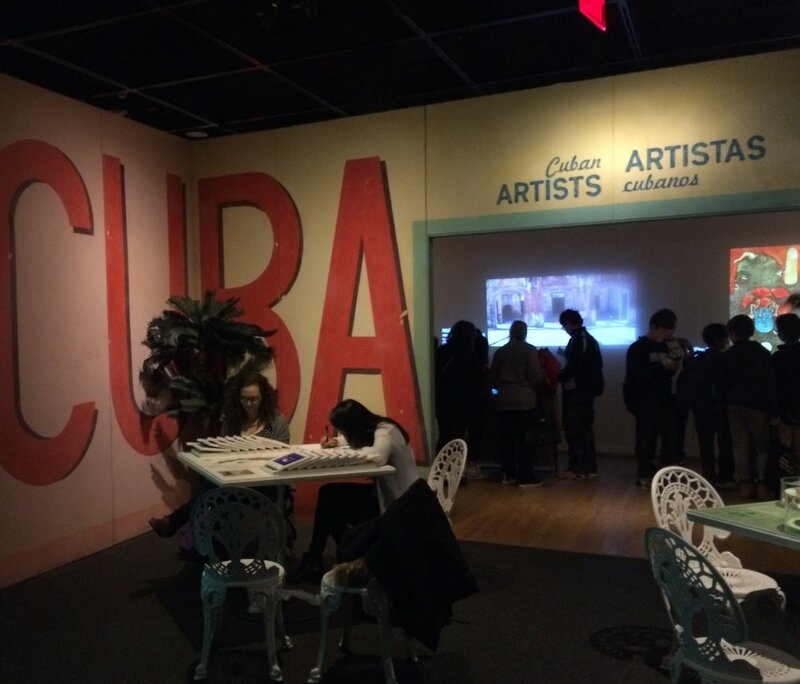 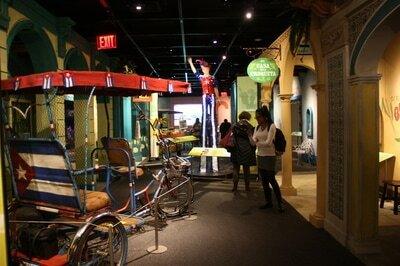 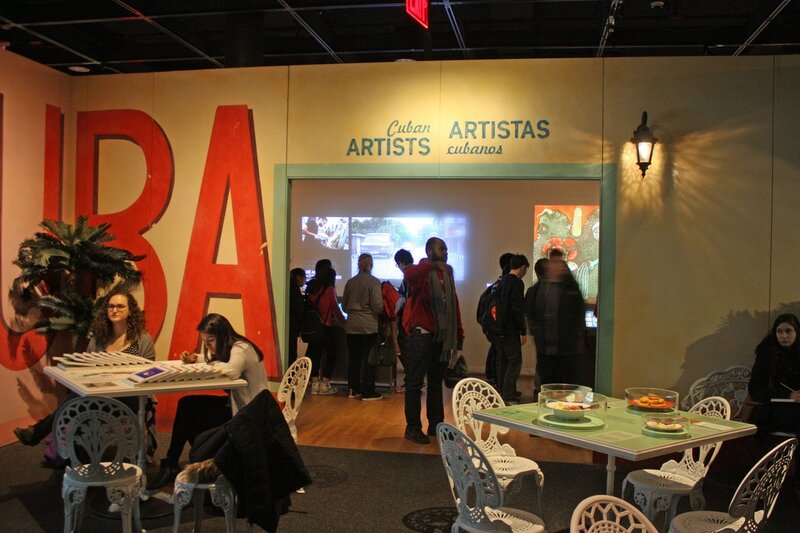 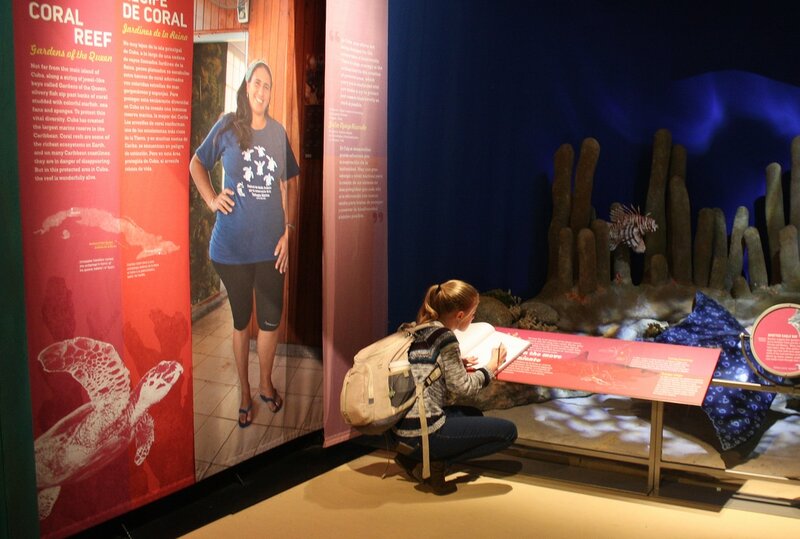 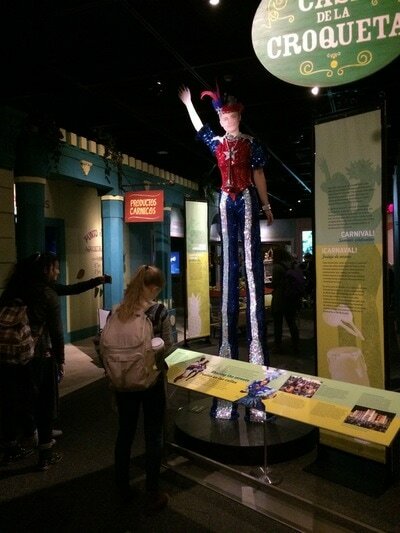 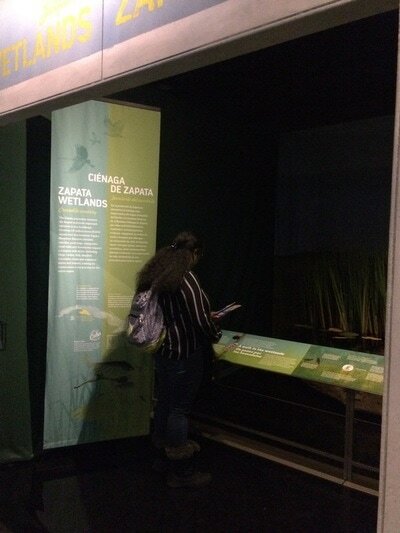 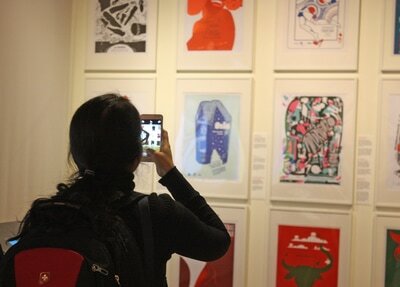 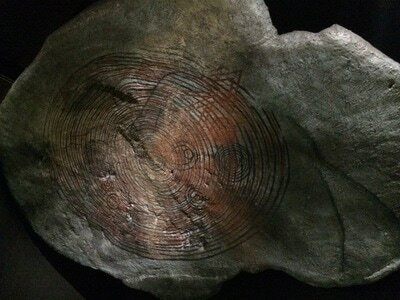 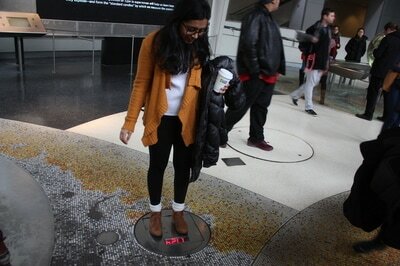 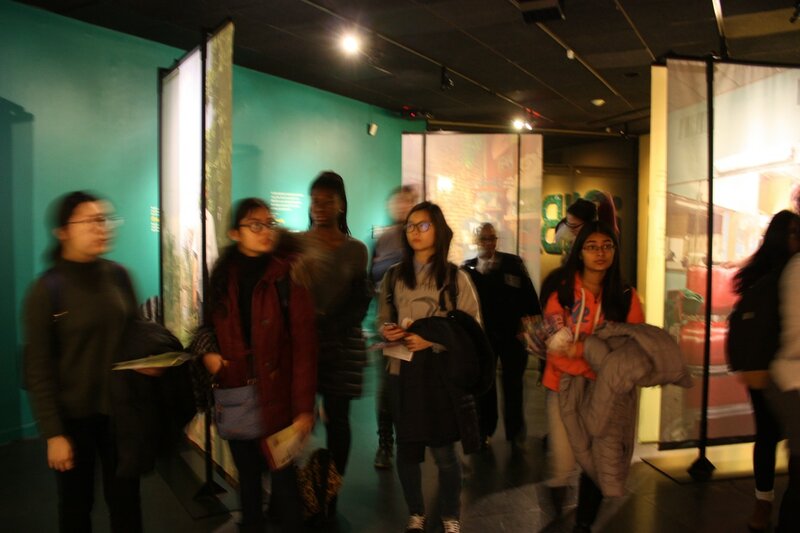 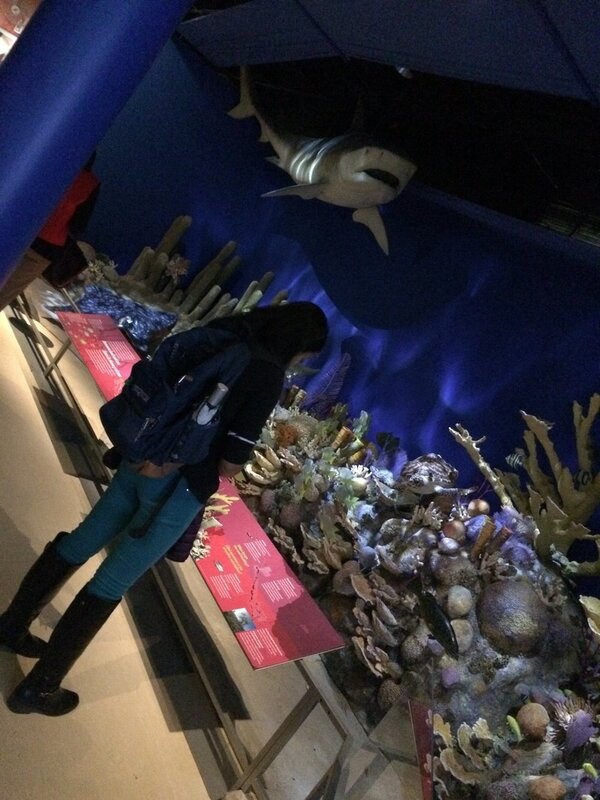 In the morning we visited the American Museum of Natural History's new exhibit on biodiversity in Cuba. 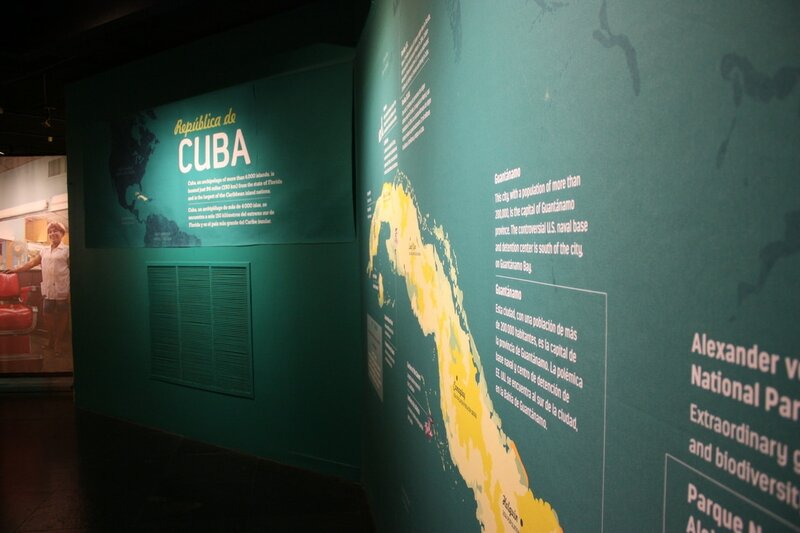 With hundreds of endemic species, Cuba is well-known for its high level of biodiversity as well as its distinct culture. 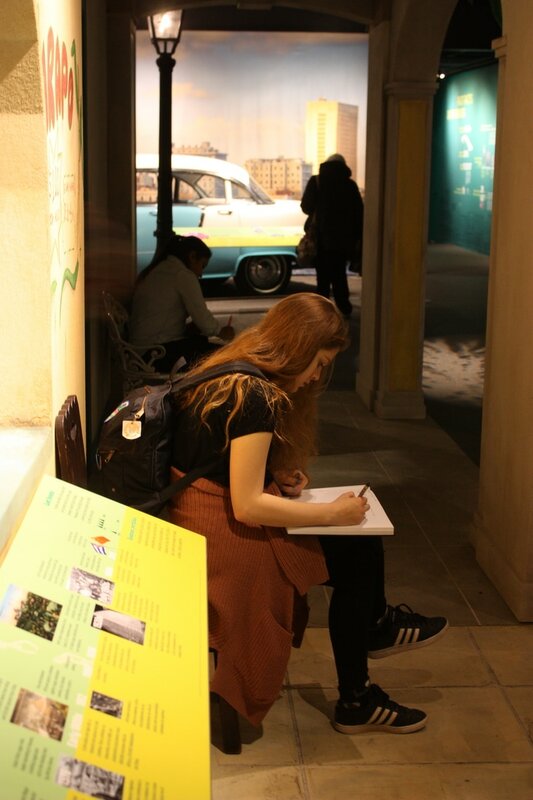 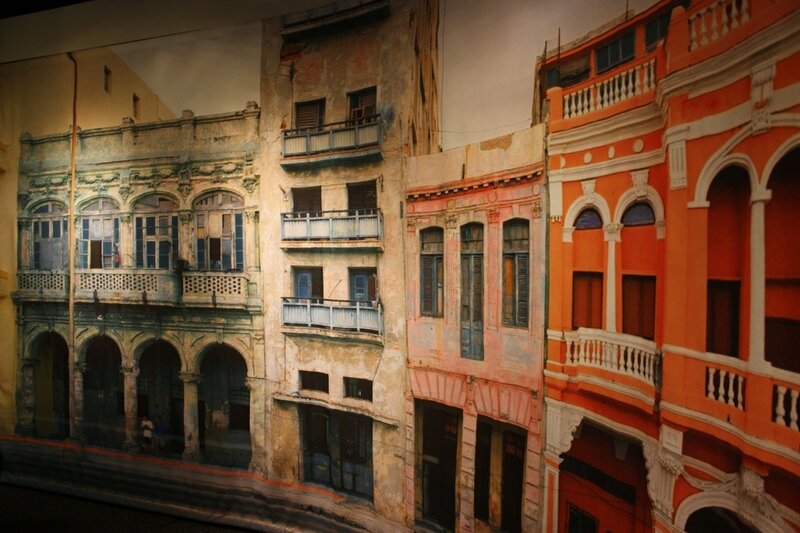 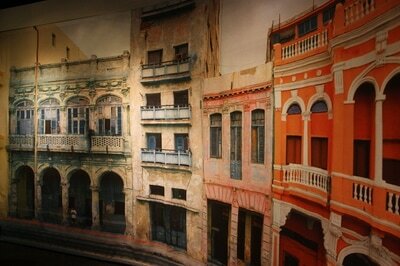 From cave paintings to 1950s cars to live iguanas, "¡Cuba!" 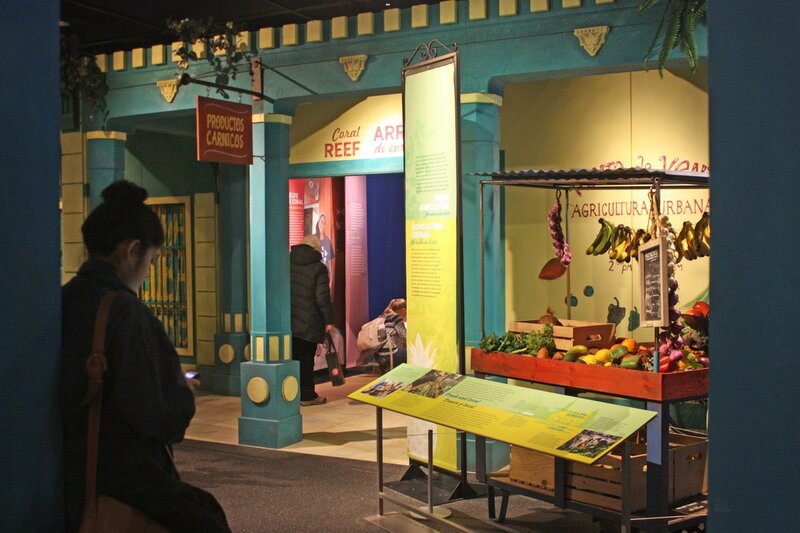 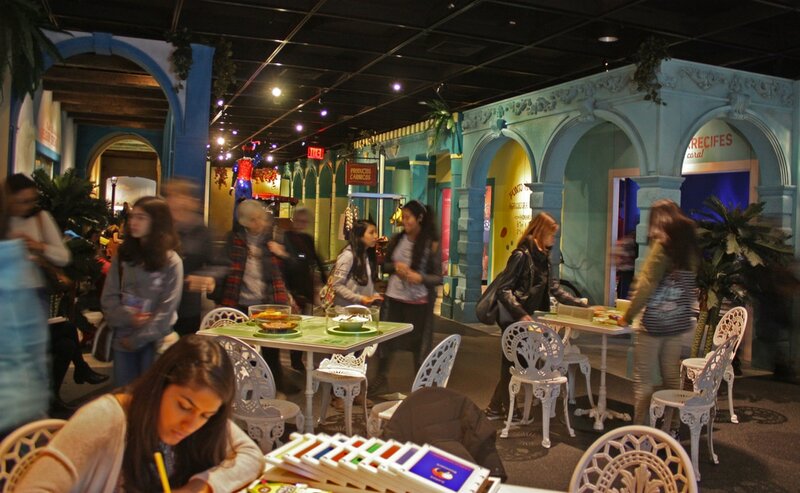 combined art, science, and culture in exquisite exhibit design. 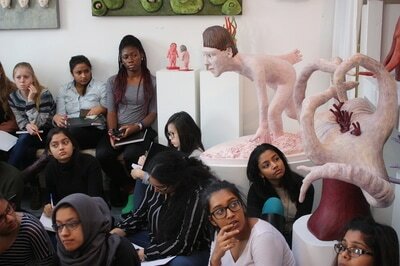 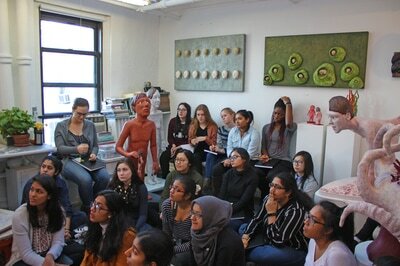 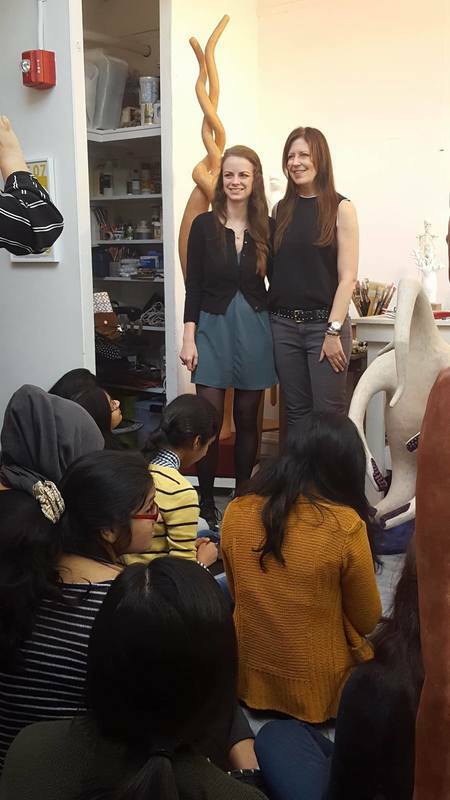 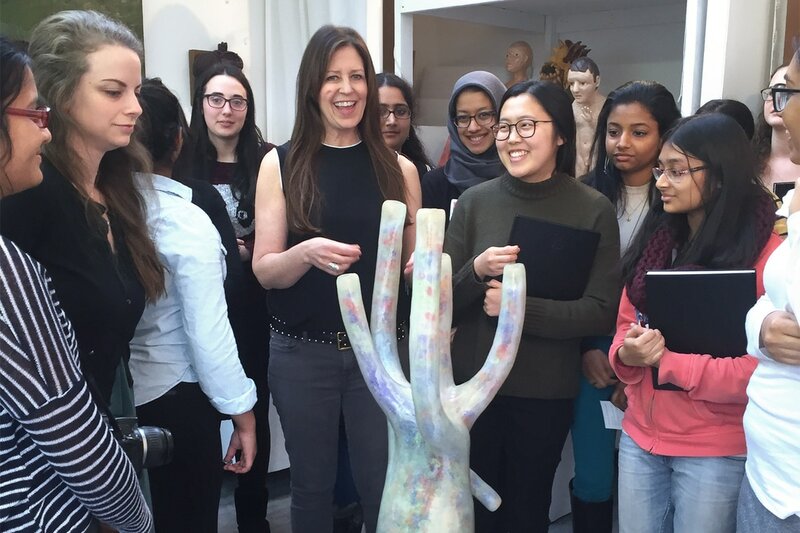 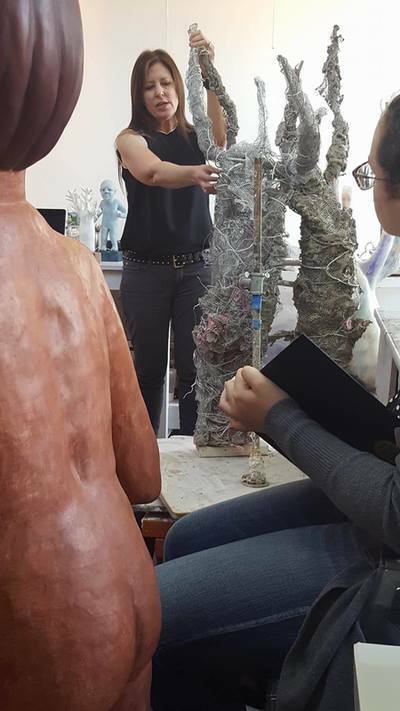 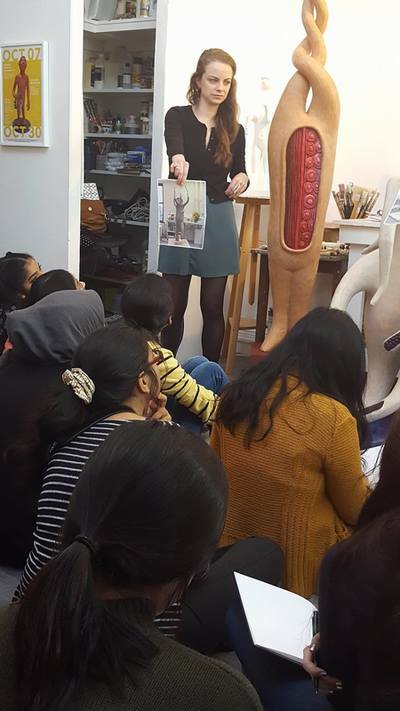 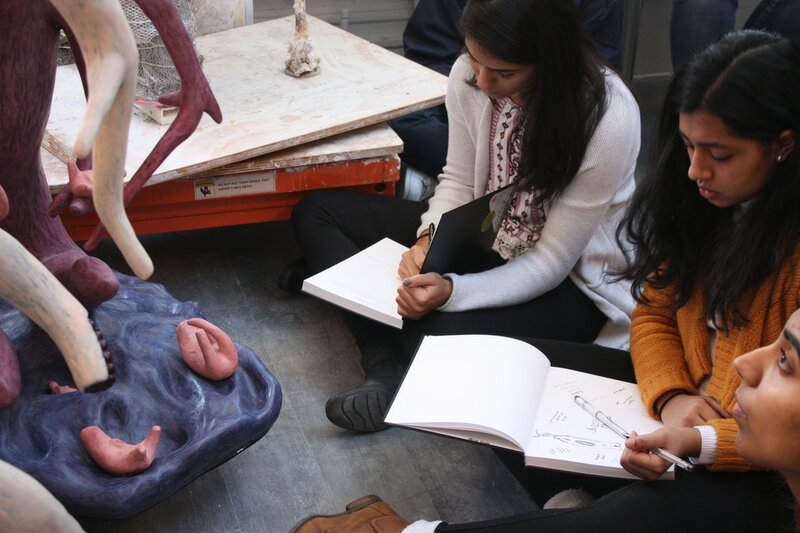 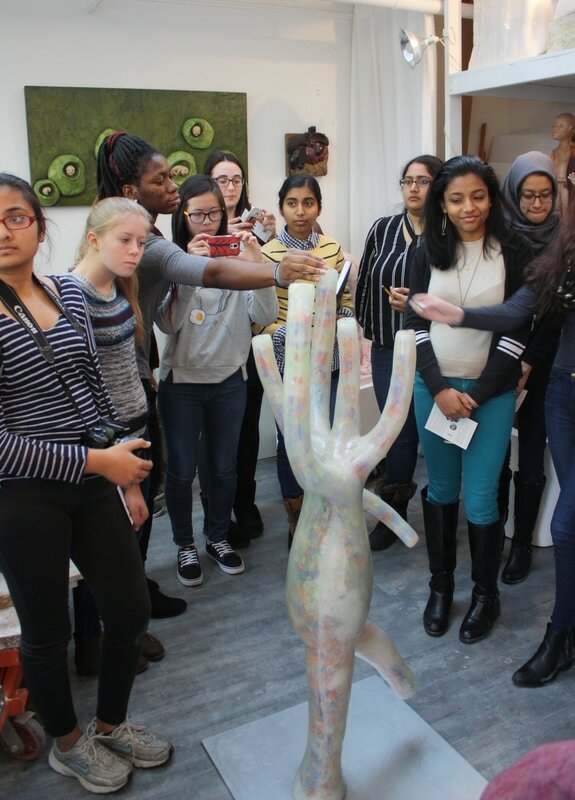 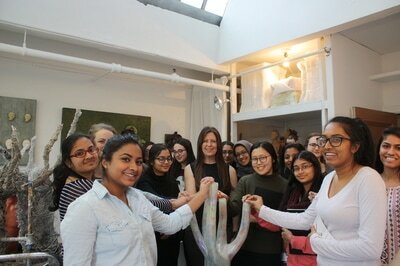 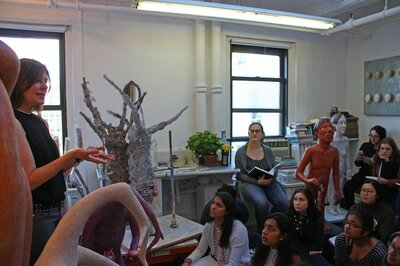 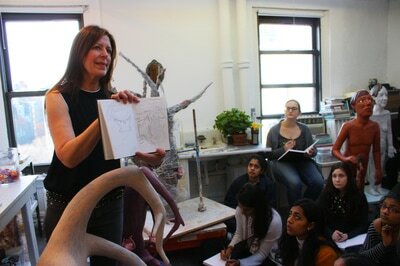 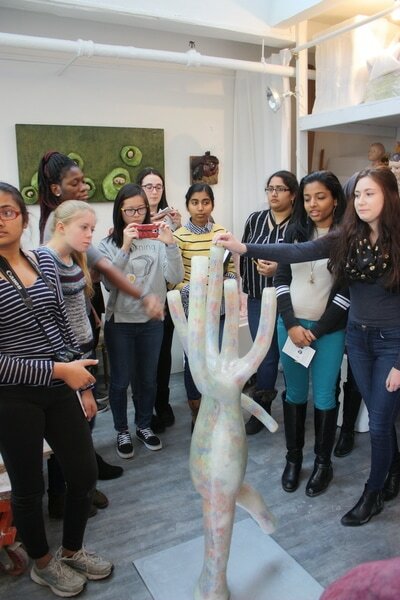 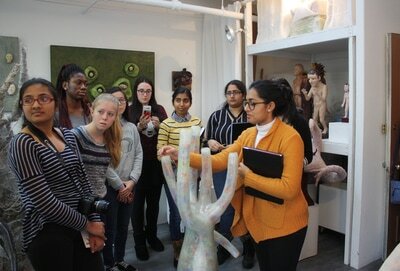 In the afternoon we visited artist Judith Modrak, who creates anthropomorphic neuroscience-based sculptures. 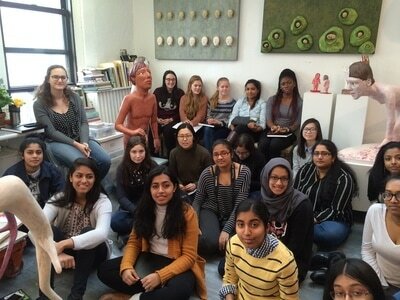 Judith shared with us her artistic career path, her tandem career in website/e-commerce hosting (for which she was an early adopter), her artistic process, and involved us in her most recent collaborative work "Our Memories." 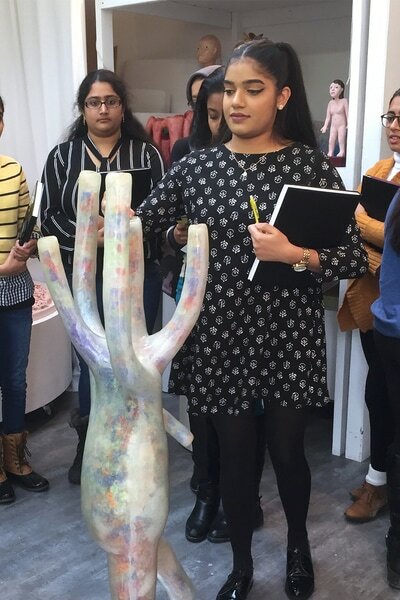 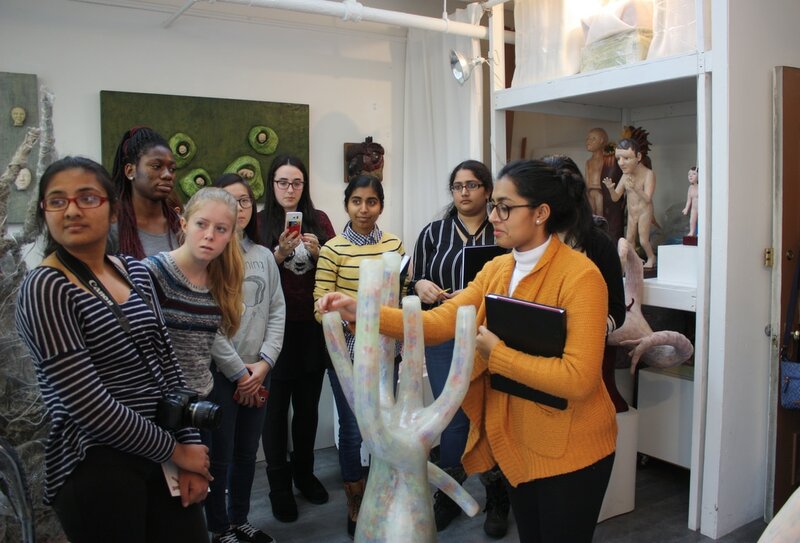 Students individually deposited a 'memory gem' into the sculpture, the color of which signified the type of memory chosen to hold in the mind's eye, like when you imagine a wish and blow out a birthday candle. 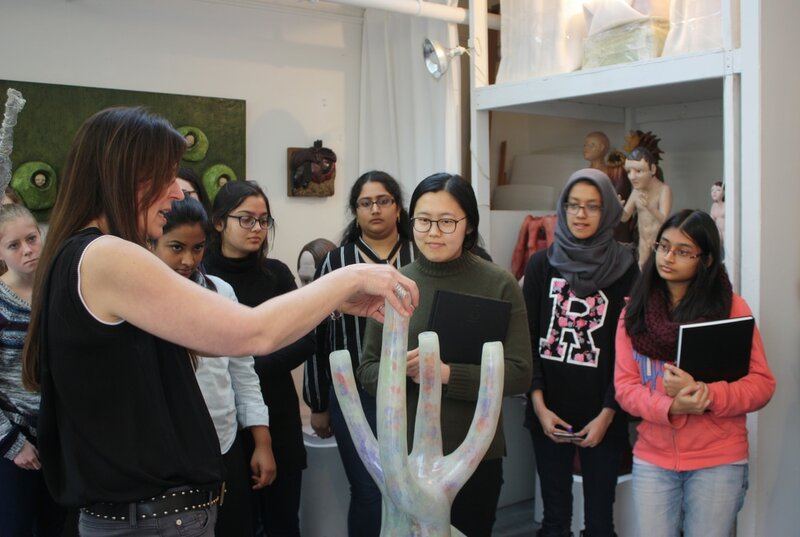 Highlighting brain diseases and disorders like Alzheimer's and schizophrenia in her work, Judith's sculptures create the opportunity for thoughtful, sensitive, and intimate discussion on some of life's most difficult and personal biological conditions.